Many parts of the world, including Perth have a fair share of buildings and homes that may contain asbestos. A lot of these buildings were built before anyone knew the dangers that asbestos posed. Now there are laws that state how the construction of buildings and homes should be laid out to keep people safe, but for home owners with older properties, it is essential to know the five signs that a home may contain asbestos. If your home or structure was built prior to 1990 in the Perth market, it has the potential to contain some levels of asbestos. The risks of asbestos is dependent on where this material is located, how old it is and its condition, along with its intended use. Finding an experienced asbestos remediation service is very important. At Site Environmental and Remediation Services (SERS), we have forty years of experience in the industry and offer real time asbestos inspections that will be tailored specifically to residential properties. The surveys that are completed by SERS are suited towards owner occupiers, investors and renovators. They are also put to use by realtors so that they can accurately profile the conditions of a property. Most corrugated, flat roofing has some level of asbestos contamination. The contamination is mainly with white asbestos, which is the least hazardous of the three types of asbestos. This being said, it could still be hazardous to your health. At SERS a complete survey and inspection of your home will uncover these details so that a home owner or potential home owner’s mind can be put at ease. A management plan will be put into place by our professionals that will help to mitigate the damage the asbestos can cause. If your home has flooring tiles that are nine inches by nine in size, or are vinyl with paper, there is a high likelihood that they are contaminated with some type of asbestos. The probability of this is greater if your home was renovated or built prior to the 1990s. This will also pose a health risk to anyone living in the home. Contact us by filling out a form here to help get the remediation process started. If your home is a fireproof property, it may contain grey or white asbestos. These types of asbestos were commonly used as pipe insulation, usually for the fittings. White asbestos was also used on pipes as insulation. With SERS mitigation services, we will find and detect, in real time, any of these issues, so as to help any potential buyers of a home with the steps that need to be completed. A complete report will be given, as well as a management plan for steps to be taken to remediate the process. In homes that were built prior to the 1990s, it is possible that the ceilings were made of a cement sheet that is contaminated with asbestos. SERS will check for cover traps, vent covers and light bases that could have asbestos in it. At SERS, we will work extensively with the realtor, investor or property owner for all services related to asbestos. Our residential service comes complete with a survey in real time that will accurately assess health hazards that can be caused by asbestos fibres that have become airborne. These are the steps taken every time SERS is dispatched to do a survey on a residential property. A visual inspection is performed on all accessible areas. Materials are located that may contain asbestos. The types of materials are recorded and how accessible those materials are. The current conditions are assessed along with any potential damage. We then provide any recommendations to minimize and control any risk. 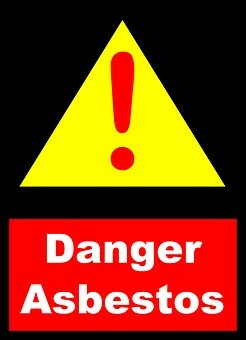 Any suspected asbestos samples are sent to a certified laboratory to assess all health risks. This data is in turn used to create a management plan that aims to provide guidance on methods for safe handling of the materials. The detailed list of survey processes can be found on our SERS website. If you are concerned about asbestos in your home, calling an asbestos remediation company is essential. To get more detailed information on home surveys and inspections fill out a form here so that one of our SERS professionals can contact you and set up a consultation.